It's time for the scramble...everyone is worried about how they are going to make money over the summer break! Well, Career Services has a few tips and resources that you may find useful to give you an advantage in landing that great summer job! You can also check out the Find a Job section of our website for more online job boards to help in your search. Tapping into the hidden job market is also an excellent strategy...you can use some of the business and community directories in our Occupational Research section to get the contact information and/or address of local businesses and organizations and then contact them even if they do not have not posted a job opening on a job board. 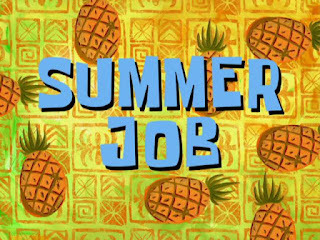 Start early - summer jobs are posted now! Practice your interview skills and be confident in your ability to talk about your skills and achievements. Check out our blog post about interview preparation, or come into the Resource Centre for help! Come see us for a free, drop-in review session! For instance, an individual credit of $40,000 over a seven-year term at 12.5% would require reimbursements of $716.85 a month. A home advance for the same sum over a 30 year time span at 7% interest would require a month to month reimbursement of $266.12. After completing the studies the first thing comes to our mind is how to get a suitable job for career building. In most of the occasions, students are taking different types of summer courses to boost their career success. Summer courses are also quite helpful in getting jobs and it helps to build our technical experience in short time period.